At a special event in New York, OnePlus today announced the OnePlus 5T. Like the OnePlus 3T before it, the OnePlus 5T represents a marginal update to its predecessor. In this case, OnePlus has updated the OnePlus 5 to feature a bezel-less display, aligning the OnePlus 5T, in terms of design at least, with competitors like the Galaxy S8 and iPhone X. 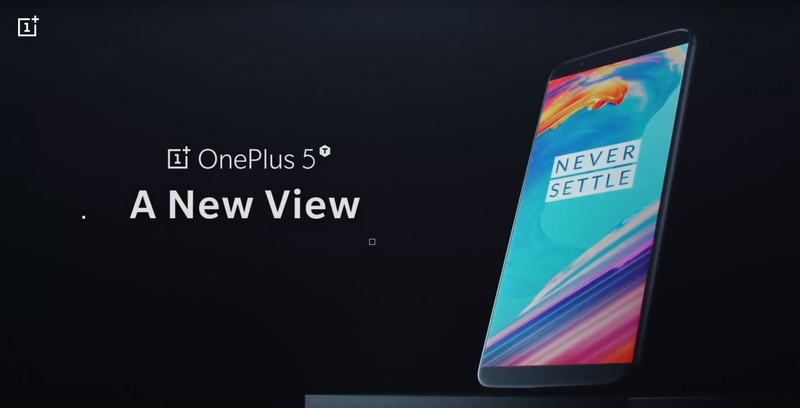 In addition, the 5T features an upgraded camera package that promises to address some of the pitfalls of the OP5’s main camera. Sales of the OnePlus 5T via the OnePlus website start on Tuesday, November 21st in North America, Europe and India. OnePlus has not stated when sales will begin in Canada. The OnePlus 5T is available in Midnight Black. It begins at $659 CAD for the 6GB of RAM and 64GB of internal storage. It is unclear how much the 8GB of RAM, 128GB of internal storage variant will be in Canada, but it is $559 USD in the United States. While no Canadian carrier currently plans to sell the OnePlus 5T, the phone is compatible with the majority of Canadian cellular networks, including Bell, Telus, Rogers, Fido, Virgin Mobile and Koodo. The one exception is Freedom Mobile. While the OnePlus 5T is technically compatible with the carrier’s Band 66 LTE network, Freedom doesn’t guarantee support for devices that weren’t bought directly from either its online store or in-store locations.